US equity indexes closed a little mixed, sp +15pts (0.5%) at 2904. Nasdaq comp' +0.7% at 8013. The two leaders - Trans/R2K, settled -0.4% and -0.1% respectively. 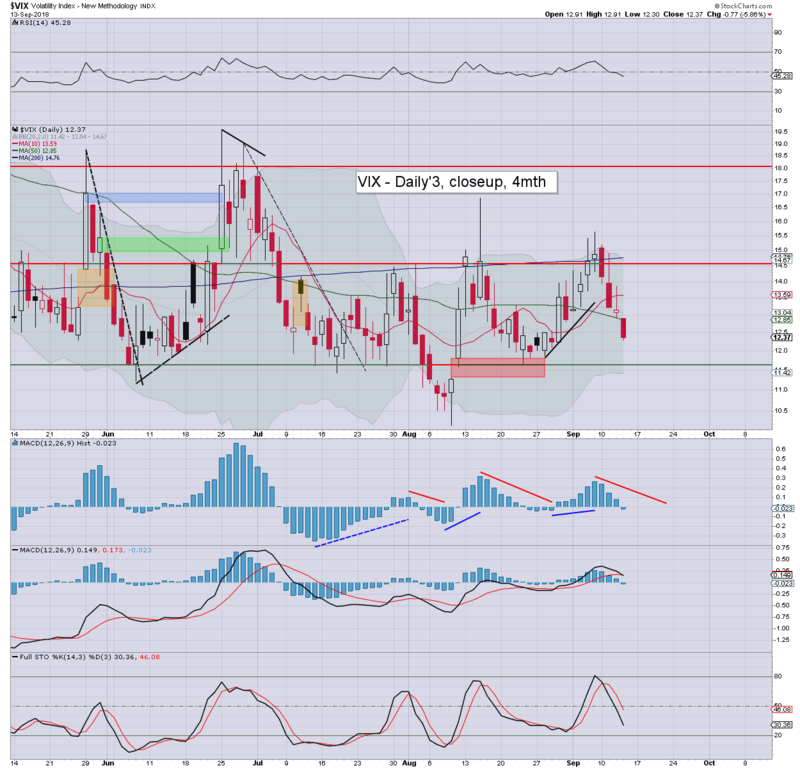 VIX settled -5.8% at 12.37. 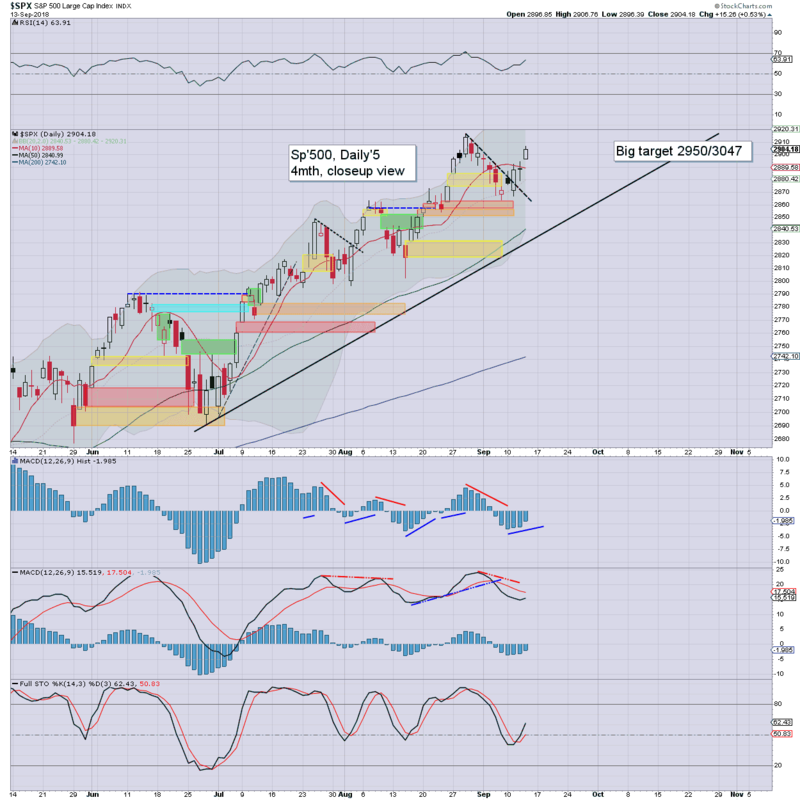 Near term outlook offers new historic highs, with the sp'2940/50s viable by end month. 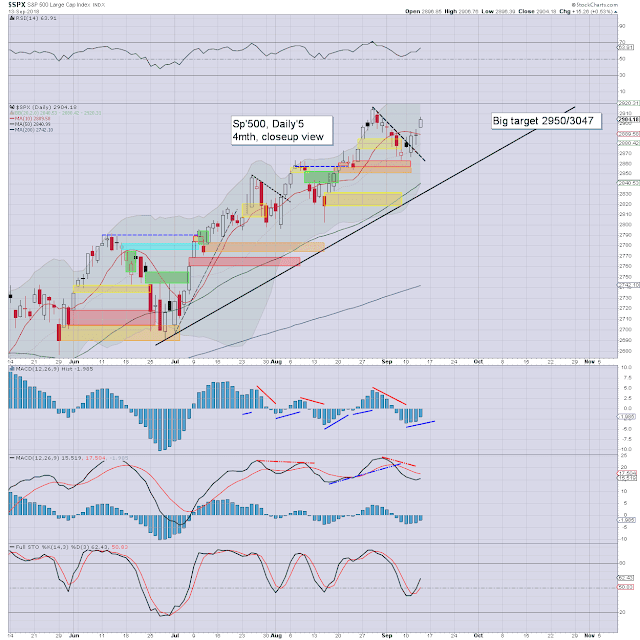 It was a day for the equity bulls, with the sp' opening a little higher, and building moderate gains into the afternoon. The VIX was naturally subdued, melting lower for a fourth consecutive day. Tepper's appearance on the lunchtime show was pretty interesting. Whilst he has cut back on many stock positions, he is still long Micron Tech' (MU), and its one of his biggest positions. 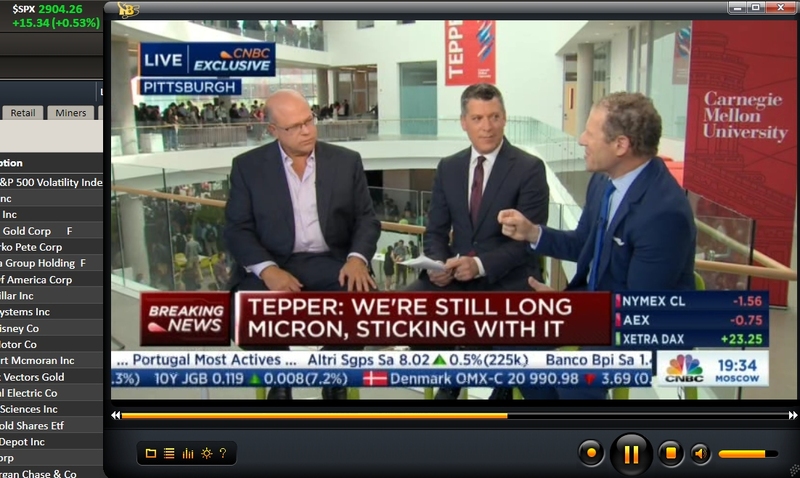 Tepper highlighted many of the same reasons he likes the stock as I have. Further, even if you consider worse case of earnings cut in half, that still offers annual EPS of $6.00. On any basis, that would still leave the stock crazy cheap. The stock saw an extra kick higher on this mainstream chatter, with an intra high of 44.49, and settling +4.5% at $43.62. The m/t trend has been clearly broken this month, and cyclically... it ain't pretty, with a bearish macd cross due in October. 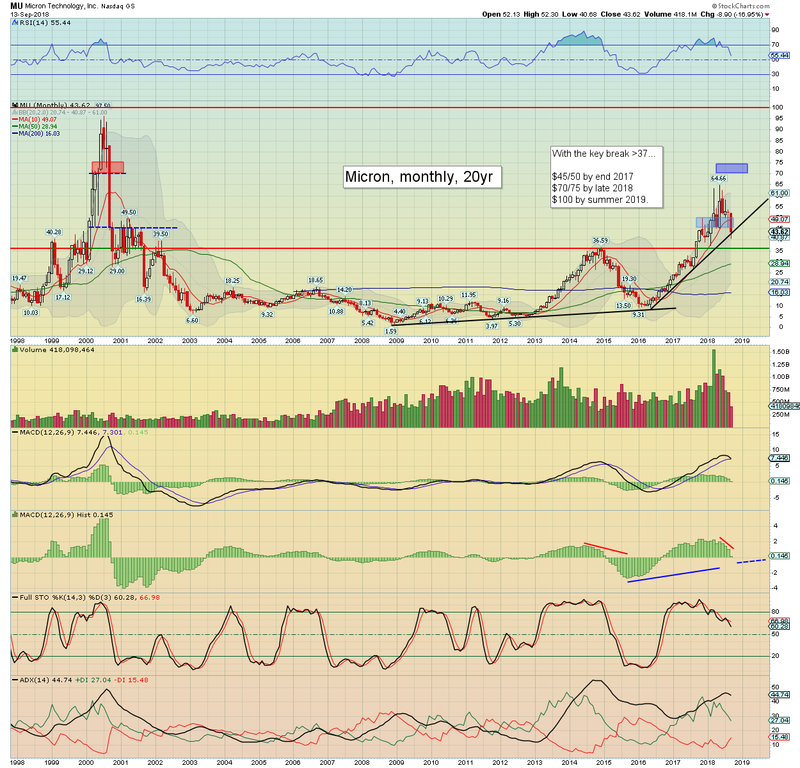 However, if Micron can rebound into end month - preferably with a settlement >50.00, then the bulls can start to get confident again. Things will turn real bullish with a daily close >53.00. Earnings are due Thurs' Sept'20th in AH, and I do expect them to come in fine, with 'reasonable' guidance >$3.00.